Image Credit & Copyright: Allison Murray. If you’re like me, you enjoy finding new and exciting ways to have fun and open your kids minds to new things so what a great idea for those of us who are space nuts and also love painting up Easter eggs. I don’t celebrate these holidays per-se but there’s something to be said for traditions and taking part in moments that create memories like coloring eggs and egg hunts. I still remember countless holidays through my childhood and I cherish many of them. 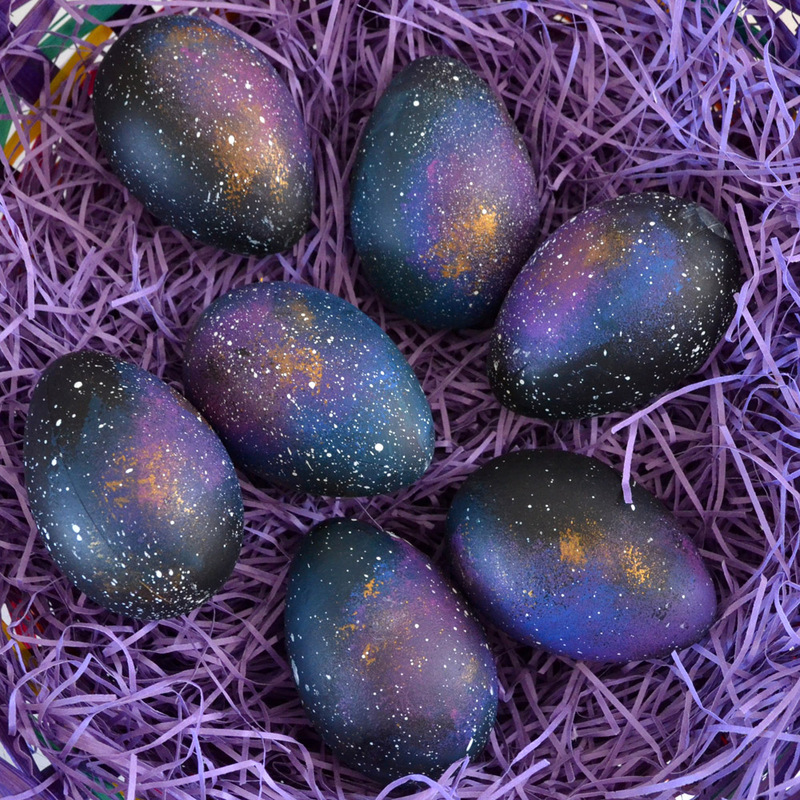 I’ll keep this short and sweet but I’ve placed Allison’s link below so you can give these galactic eggs a shot yourself! Image | This entry was posted in News, People and tagged Allison Murray, Astronomy, Easter, Easter Eggs, Galactic Easter Eggs, Space, Space Easter Eggs. Bookmark the permalink.